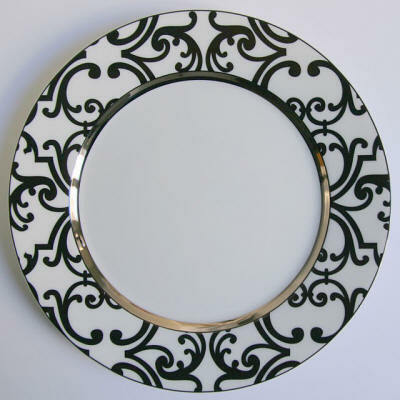 Informal Dining - Cosenza - Pure white porcelain background with a series of Bloomsbury type motifs in black with narrow black inner and outer rims. Orvieto has an inner bright gold band (also available with platinum band). 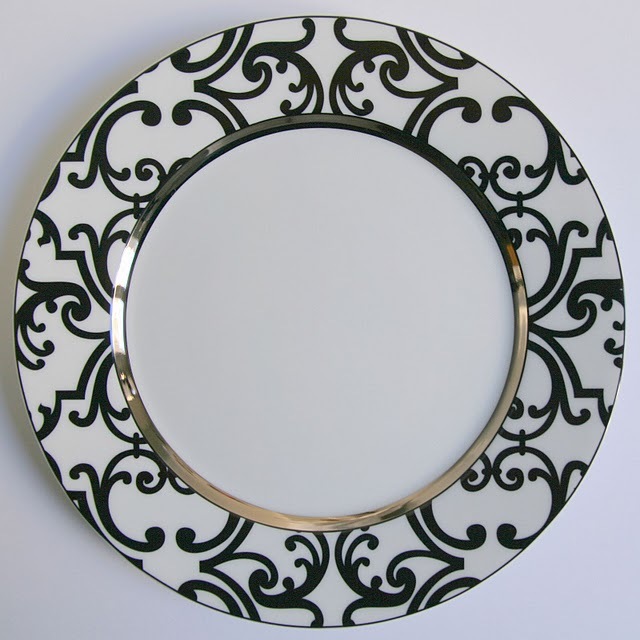 This china dinnerware is available in the Limoges (can cup) shape.